Before leaving Wetaskiwin in 1955, Rodney Schneck displayed outstanding athleticism in several sports ‑ he was a goal tender in hockey, a quarterback in football, and pitcher in baseball. He was a member of the Sabres Football Team and on the Cubs Baseball Team which each won league championships. 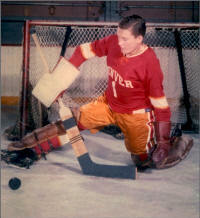 Rod attended the University of Denver (1955 ‑ 1959) on a hockey scholarship. University rules did not permit first year students to participate in games. Somewhat unexpected, Rod became the #1 goal tender on the Denver University Pioneers Hockey Team. 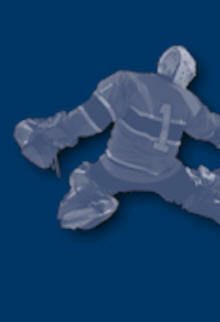 He soon proved to be "very agile and positional in his play ‑ a tough goalie to beat". 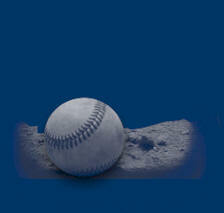 In the spring of 1957, Rod changed equipment and excelled as a pitcher on the Pioneers Baseball team. The team won the Skyline Conference Championship and Rod was selected to the Coaches' All‑Skyline First Team. The University hockey program produced a great team for the 1957-1958 season and with outstanding goaltending by Rod, the Pioneers won their first‑ever NCAA Championship. In the final game, played before 7900 spectators, the Pioneers won (6‑2) over the favoured North Dakota Sioux. Rodney Schneck "who turned brilliant performances" was named goalie on the First Team. The Denver University Pioneers were ruled ineligible to defend their NCAA hockey title. That year, the Pioneers posted "best yet" records. The "greatest‑ever game played in DU History" was played on January 10, 1959 versus a Soviet touring team which had not lost any previous games. In goal Rod "made unbelievable plays to halt the Soviets - he kicked out 38 shots, many from point‑blank range". With the Pioneers leading 4‑3 with one minute twelve seconds remaining in the game... "it was a perfect shot by Krylov which beat goalie Schneck". The game ended in a 4‑4 tie. "Regular hockey goaltender for three years. All‑Conference baseball pitcher as a sophomore. Grade average ‑ 2.398, a business management major from Wetaskiwin. Alberta."